The Government on Tuesday said that steps are being taken to promulgate regulations related to all adventure tourism activities in Sri Lanka. The Policy Development Office of the Prime Minister’s Office said that ten (10) Advisory Committees have been appointed for each field of the adventure tourism service to setup international standards. As per the initiative taken by the Central Programme Management Unit (CPMU) of the Minister of National Policies and Economic Affairs with Sri Lanka Tourism, the project is being implemented by the Sri Lanka Tourism Development Authority (SLTDA). Ten (10) Consultative Committees have been appointed under the SLTDA for each Adventure Tourism segment which are divided into 10 fields. Such as land, water and air related activities to develop these guidelines. 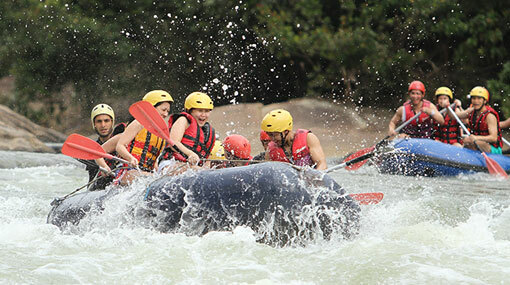 With the inputs and advice from the experts in these Consultative Committees, it is scheduled to develop and Gazette the Guidelines on Adventure Tourism by the Sri Lanka Tourism Development Authority by March 2018, the statement said.